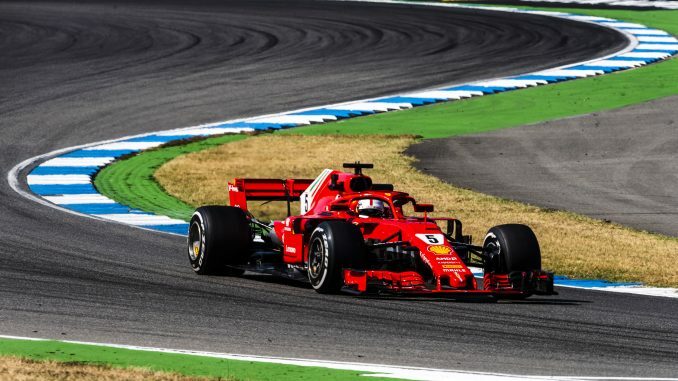 Sebastian Vettel smashed the lap record at the Hockenheimring the secure pole position for tomorrow’s German Grand Prix. The Ferrari driver, who is yet to win at the track in his Formula 1 career, set a new record at the start of Q3 before seeing Valtteri Bottas go faster. 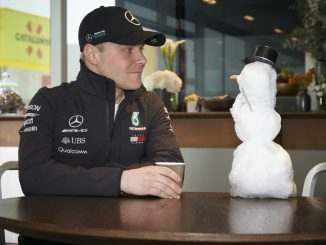 However, the German managed to improve with his second flying lap to set a time of 1:11.212, 0.2s faster than the Mercedes driver. Vettel’s teammate, Kimi Raikkonen starts third alongside Max Verstappen on the second row, while the Haas drivers will line up alongside each other on row three. Qualifying got underway on a drying track after rain overnight and during FP3, but the drivers all came out on slick tyres. Lewis Hamilton’s hopes of pole position at Mercedes’s home race were dealt a blow when he ran wide in Q1, resulting in a hydraulics problem. Although his car was still running, his team told him to stop or he risked damaging the power unit. Hamilton had done enough to make it through to Q2, but with his car left at the side of the track he wasn’t able to take part in the second session. Daniel Ricciardo also skipped Q2 after making it out of the first part of qualifying, knowing that progressing further would restrict his tyre choice for tomorrow’s race. The Australian came into qualifying knowing he’d be starting from the back of the field after replacing three engine elements, taking him over his allocation for the season. Esteban Ocon was a big casualty in Q1, as the Force India driver was eliminated alongside the Toro Rossos, Lance Stroll and Stoffel Vandoorne. 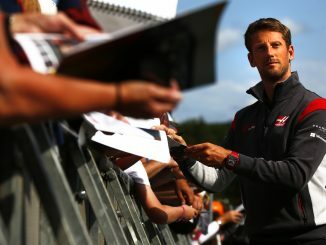 The Frenchman, who is racing at Hockenheim in for the first time in his F1 career, hasn’t had a lot of time in the car this weekend, having missed FP1 to allow reserve driver Nicholas Latifi to take part in the session before not running in wet conditions in FP3. Marcus Ericsson had problems keeping the car on the track in Q2 as he spun his Sauber, running through the gravel and dragging debris back into the racing line. A red flag was needed to clean up the track, hindering Verstappen’s tyre strategy as he had been trying to set his fastest Q2 time on the softs. Ericsson’s mechanics had to remove the gravel from his car as well to get him back out after the restart, but he was unable to make it through to the top 10. Sergio Perez and Charles Leclerc progressed to Q3, along with Bottas, Verstappen, the Ferraris, the two Haas cars and both Renaults. 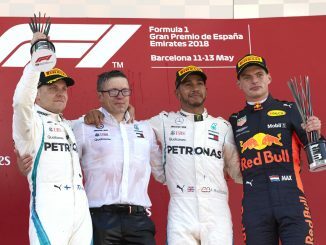 Nico Hulkenberg and Carlos Sainz make up the fourth row, while Leclerc narrowly beat Perez to ninth.